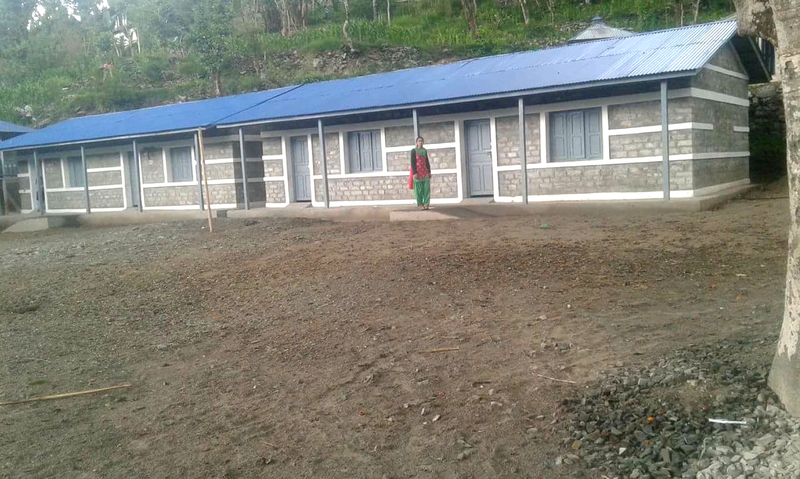 This is the school that we are helping to build! 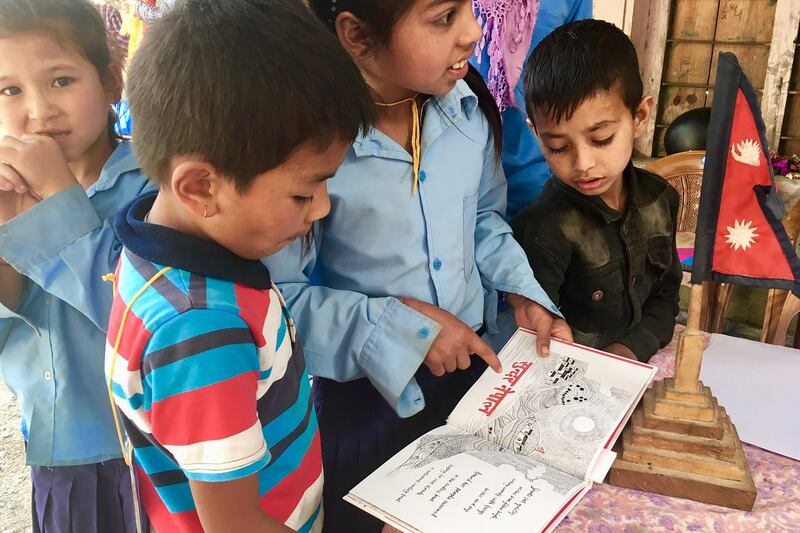 Shree Barbot Lower Secondary School teaches 199 children from nursery through to year 8. 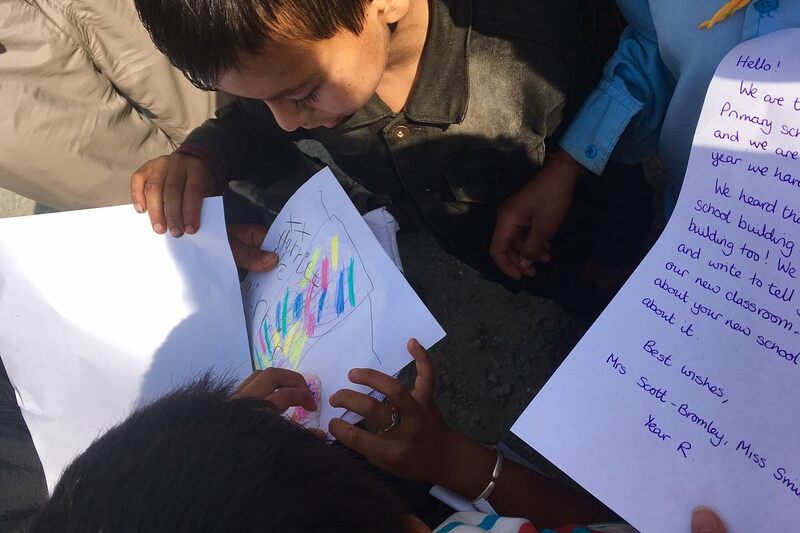 It was very badly damaged in the earthquake and children have been going to school in a dangerous building for over a year. 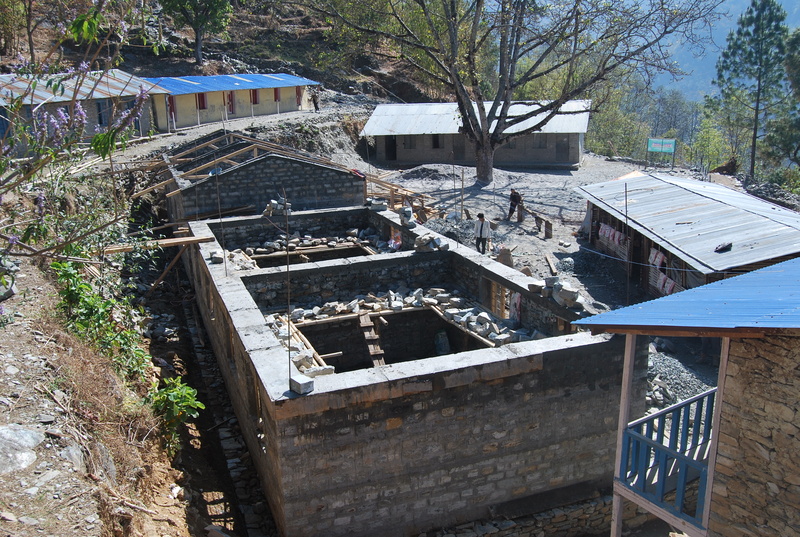 Four classrooms, a toilet block and a proper water supply will be reconstructed. The Country That Shook will fund the building of one of the classrooms, the toilets and the water supply which is incredible. 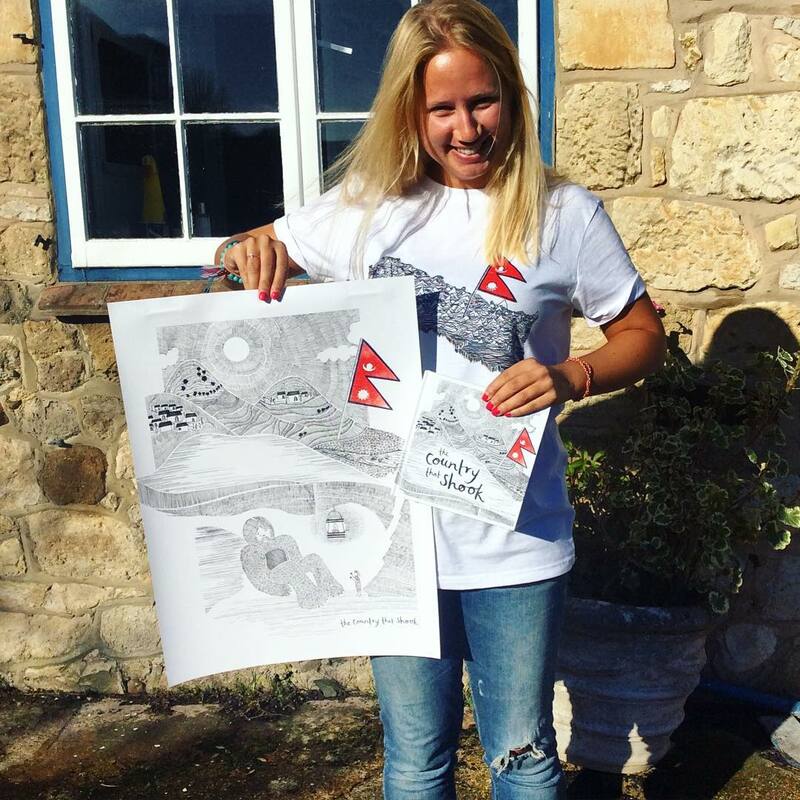 We are very proud to be supporting such a worthwhile cause with such an incredible charity. As of February 2017 the foundations are in and the build continues! 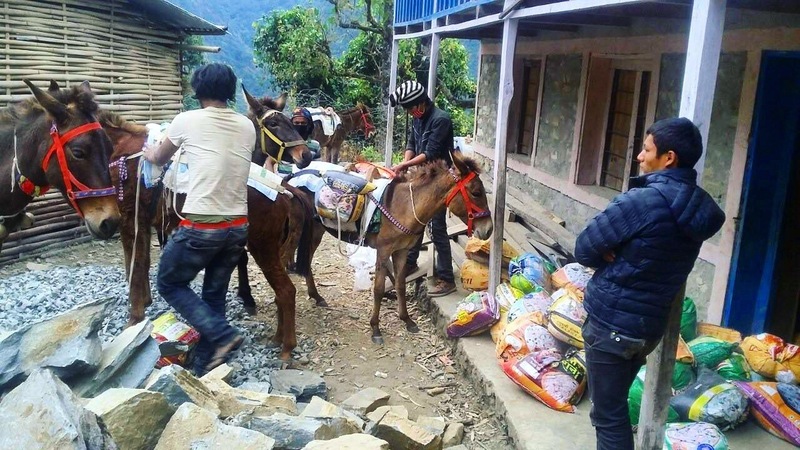 All supplies are brought up the mountain using donkeys and mules as there are no roads! 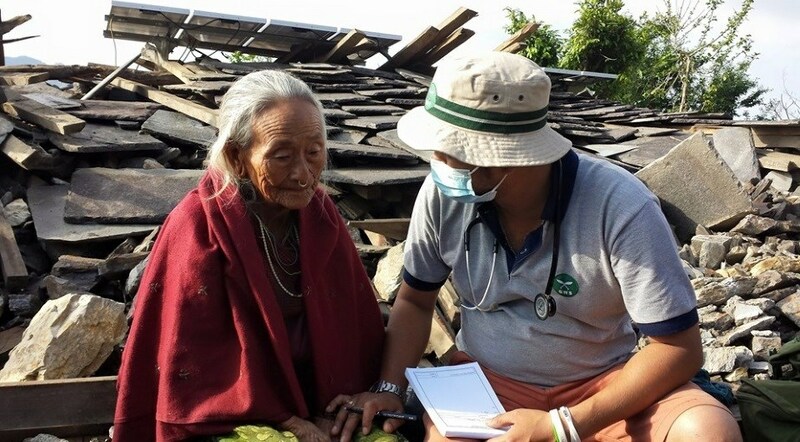 The Gurkha Welfare Trust (registered charity number: 1103669) is one of the oldest charities in Nepal, originally established in 1969 to relieve poverty and distress amongst ex-Gurkha soldiers and their dependants in Nepal. 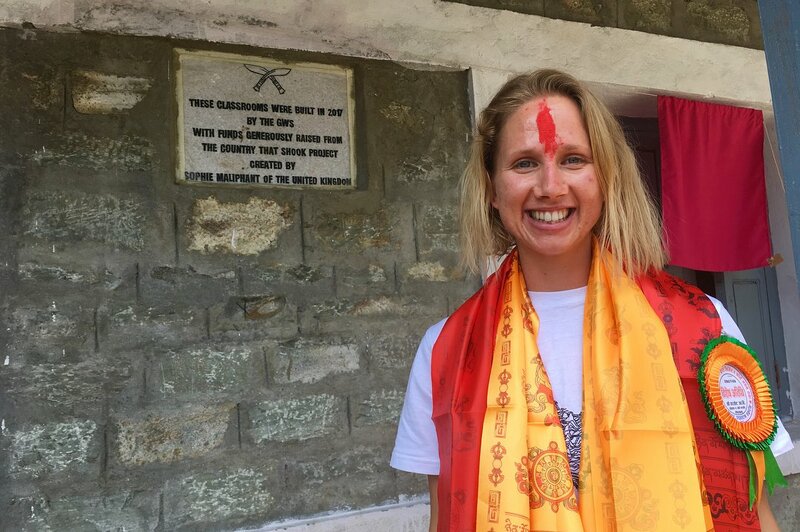 Since then they have expanded their mission to include Gurkha communities too, understanding that the wider community needs to be stable as well as the individual. 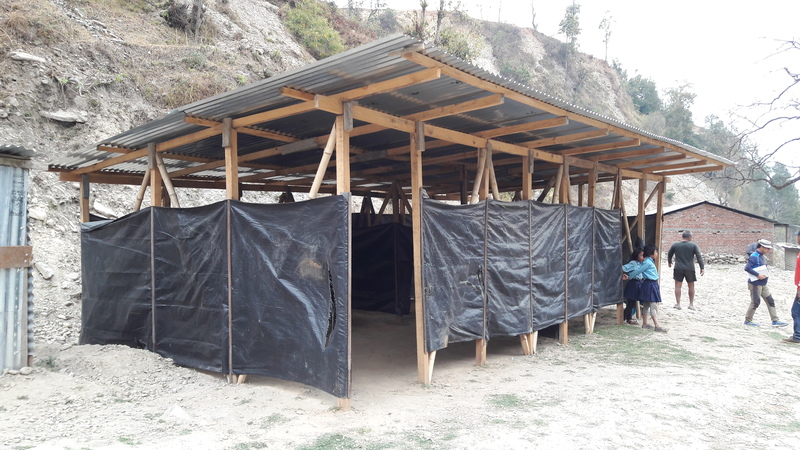 This work includes a medical programme, delivering community aid to rural villages in Nepal, installing clean water and sanitation systems, building and refurbishing schools and running mobile medical camps. It really is a huge task and incredible work to be doing in one of the poorest, most remote countries in the world, where communities can live 5 days walk from any reachable town. 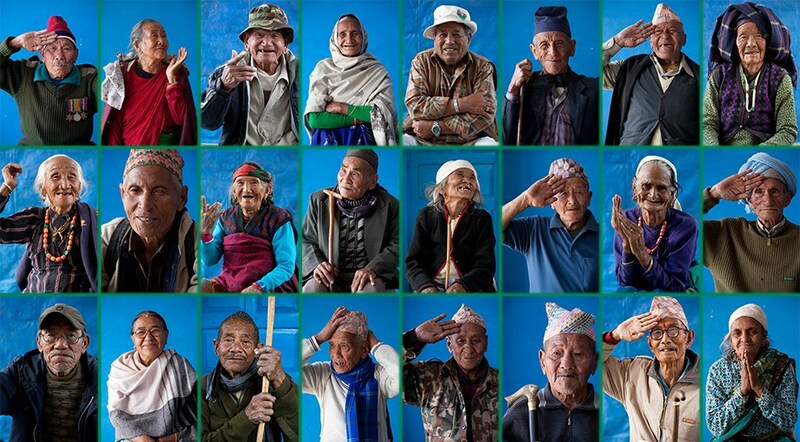 Thousands were killed and millions of people across Nepal were left homeless, including around 1,200 Gurkha veterans and widows. 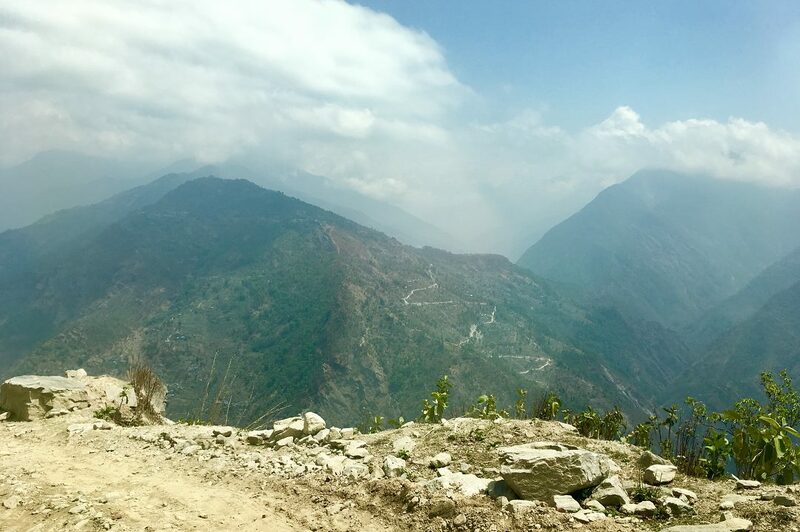 The Gurkha Welfare Trust acted quickly, and was able to reach some of the most remote areas before other aid. This is a huge benefit of being such a longstanding, established charity in the country with many connections within communities. For the long term rehabilitation effort it sparked a need to expand the community-focussed part of the Trust. 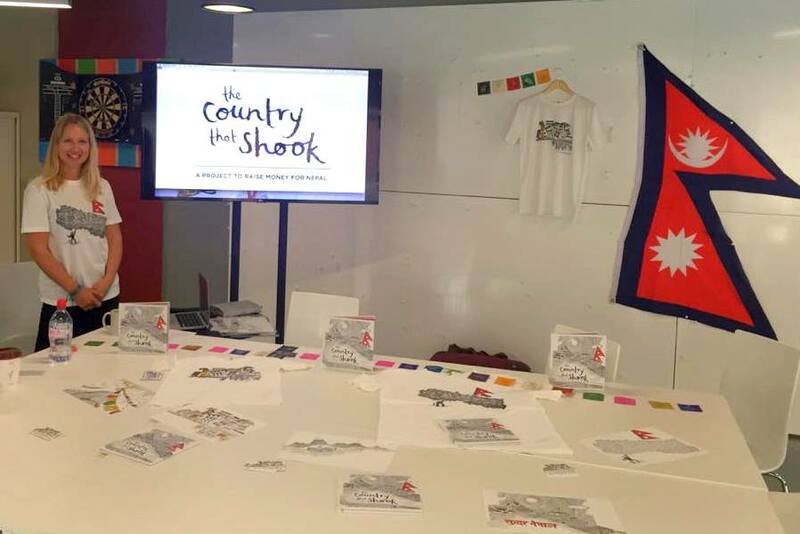 There are now 50 staff on the ground in Nepal, solely assigned as an earthquake response team. They are all Nepalese, as are all staff in Nepal; the trust prefers to employ local people wherever possible. Of these 50 staff over half are project engineers, who are sent to assess sites that have been badly damaged by the earthquakes. They decide what can be done, how necessary the building requests are and how the trust can help best. Any planning and building applications then have to be sent to the government for approval, endorsed by the research carried out by the engineers. After approval has been given building is allowed to start. Due to the monsoon rains, most big builds will start in the autumn after the rain has stopped, with a view to be completed in the spring. On a big build one of the structural engineers will be on site every day to ensure smooth and efficient development. For smaller projects they will visit on a regular basis. This is a slow process, especially when there are people in need, but it is necessary to ensure that all buildings are legal and that the funds are spent in the most effective way. All building work is carried out by local people, teams from outside are not brought in, in an effort to keep revenue in the local area. Likewise all building materials are sourced as locally as possible. I can’t tell you how impressed I am with everything I’ve learnt about the Trust so far, I am so excited to be partnering with them. It is estimated that 15% of Nepal’s GDP comes through the Gurkhas (although this cannot be officially verified). 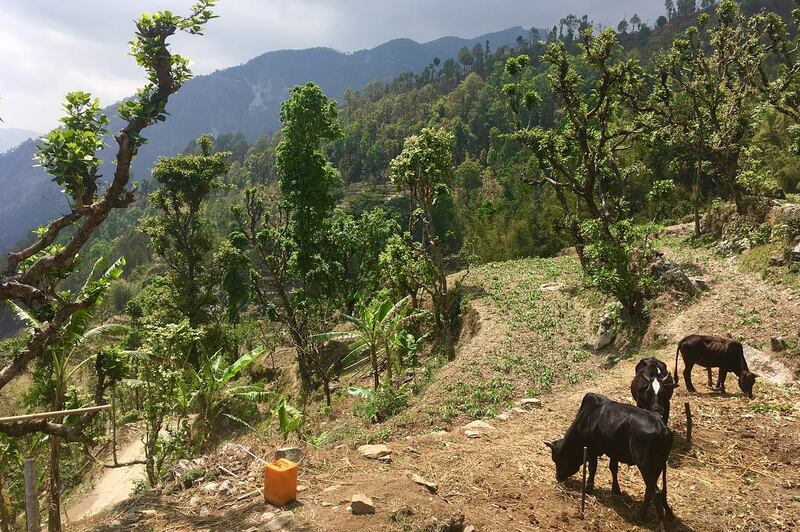 Over 50% of Nepal’s GDP comes from tourism (again this is an estimation), which is why the earthquakes and consequential lack of visitors is such a blow for the country. 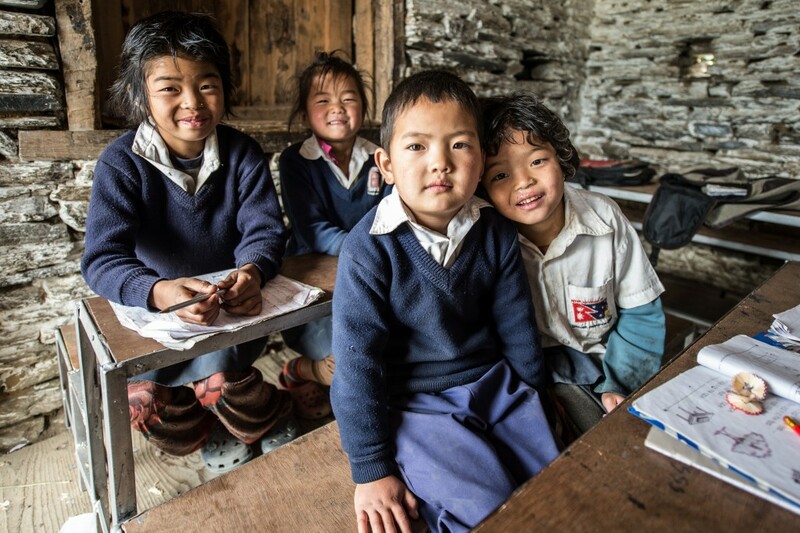 The Gurkha Welfare Trust aims to build 12 new schools each year until 2020. It will provide repairs and extensions to hundreds more. The school I am supporting is one of the big projects of 2016/2017. The M.O.D. 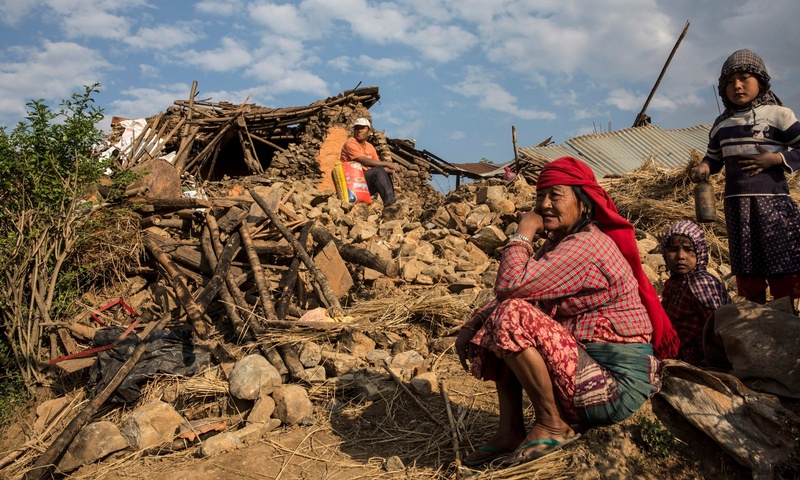 provided £0.5 million to help with the earthquake response and continues to provide an annual grant-in-aid to support the Trust’s admin costs for welfare development. D.F.I.D. (The Department for International Development) funds the majority of the Trust’s water projects. The Trust plans to develop 120 projects a year until 2020. 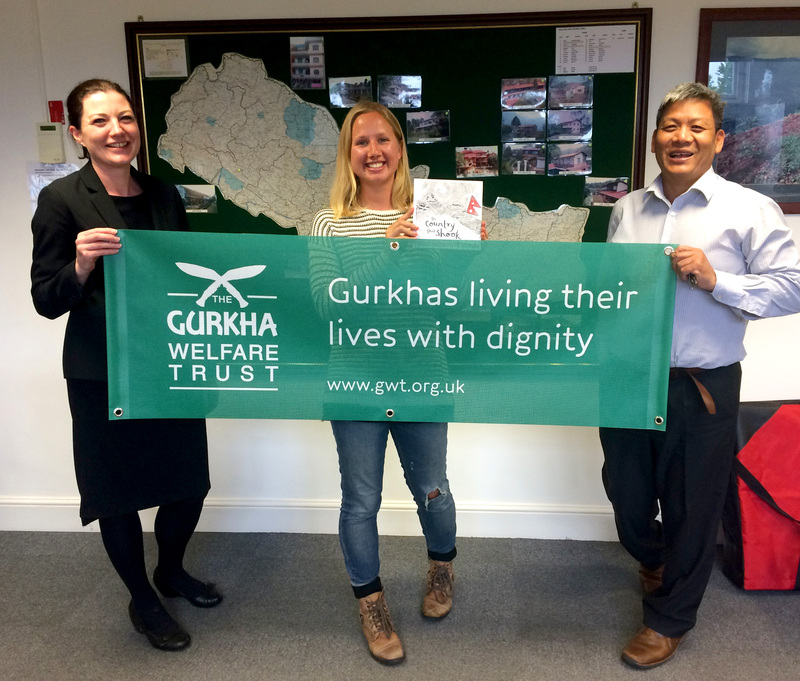 I am happy to announce that the charity I am partnering with is The Gurkha Welfare Trust (registered Charity number 1103669). As I mentioned previously it has been a tough journey to get to this decision, but, having done so much research, it is now one that I am very happy with. Through the Trust I have chosen to support one school, which I have picked from a range of profiles. 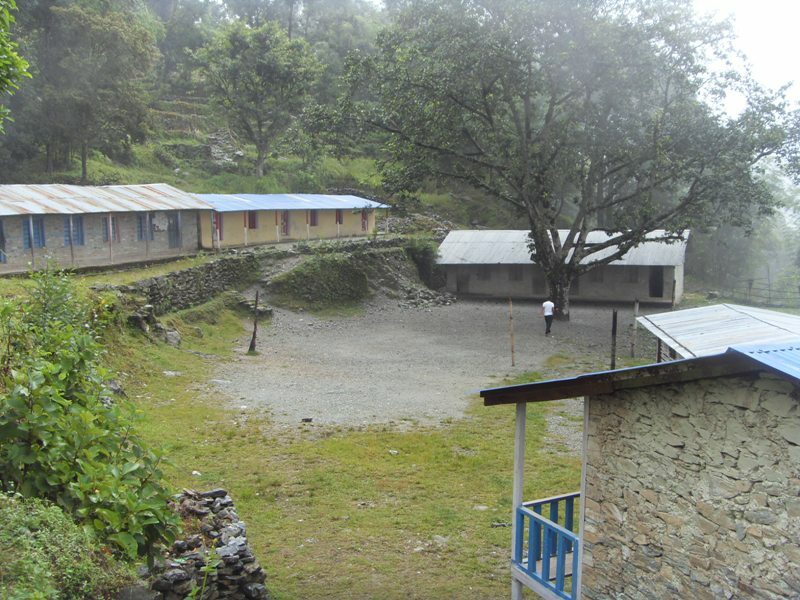 Shree Rastiya Primary School is in Saamari, Nuwakot in the Bagmati area, not far from the epicentre. 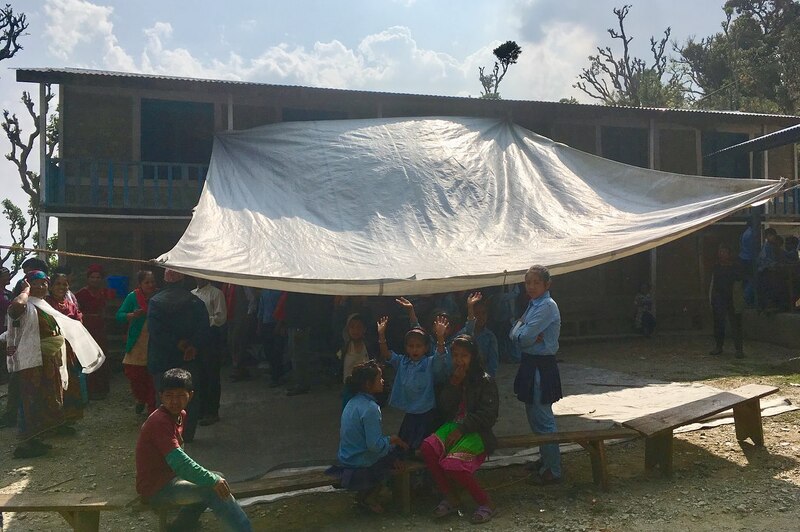 During the earthquake it sustained serious damage and classes are now taking place under a temporary shelter. 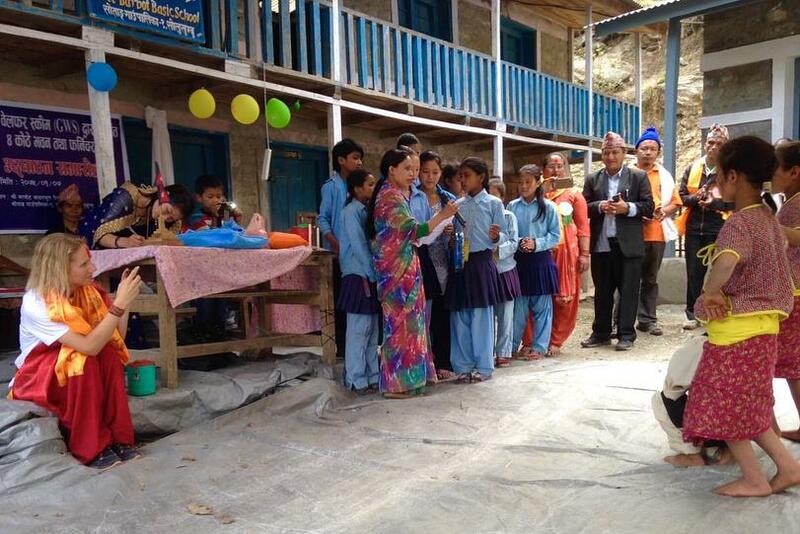 It is incredible to think that this has been a school for so many children for well over a year now. The Trust is going to build a school with 8 classrooms and a separate gender toilet block with work due to start this autumn. The school will also receive supplies such as desks, chairs, whiteboards and storage units to ensure it can function smoothly. 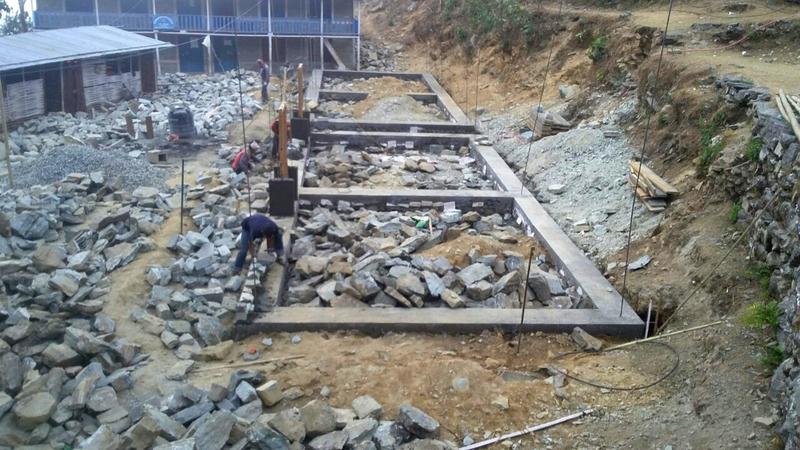 It is a huge job which will be built to a high standard, making it earthquake resistant. 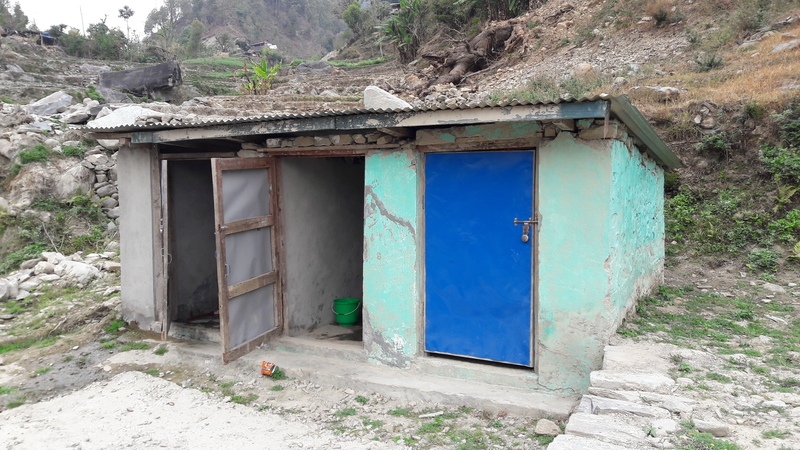 Features such as separate gender toilets are unusual for the country, but are invaluable in providing much needed privacy, especially for young, vulnerable girls. On top of that a designated, fenced play area is planned which also improves children’s safety. The total cost for the build is estimated at around £54,666. 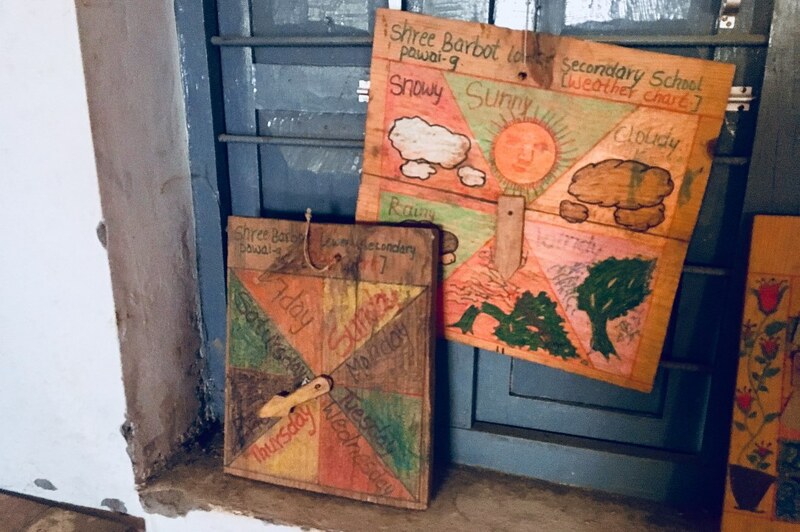 Each classroom will cost around £6,000 so The Country That Shook has already raised enough to fund one, plus some supplies for the school. The classroom will have a plaque to commemorate TCTS’s support. However we don’t really want to stop there and there is more money to be raised from sales. Over the coming weeks I will be giving an idea of what else The Country That Shook’s money can buy if we reach certain goals. 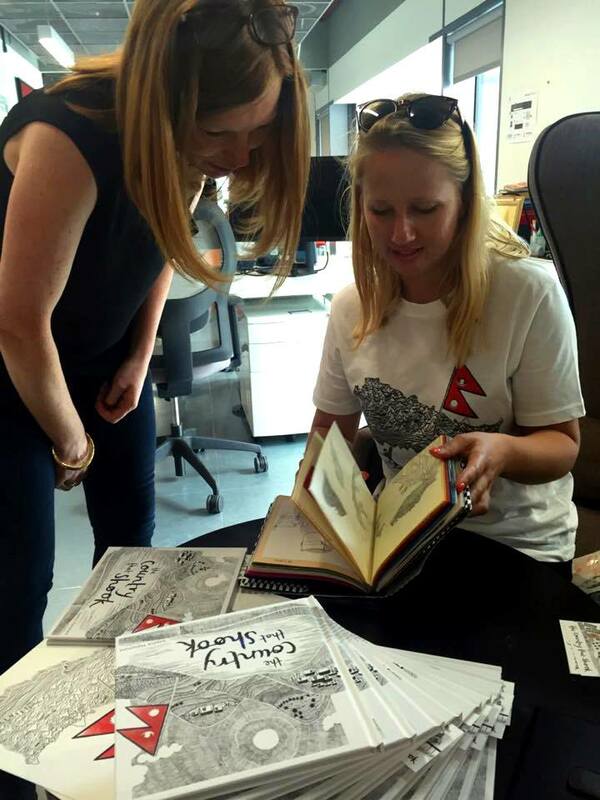 I will also be working with The Gurkha Welfare Trust to get the book and the project in front of a much wider audience. Watch this space. How do you connect with people who are in genuine need? This is a very valid question I was asked recently by someone considering their own project. I would say that this decision has been and still is the hardest part of the project. 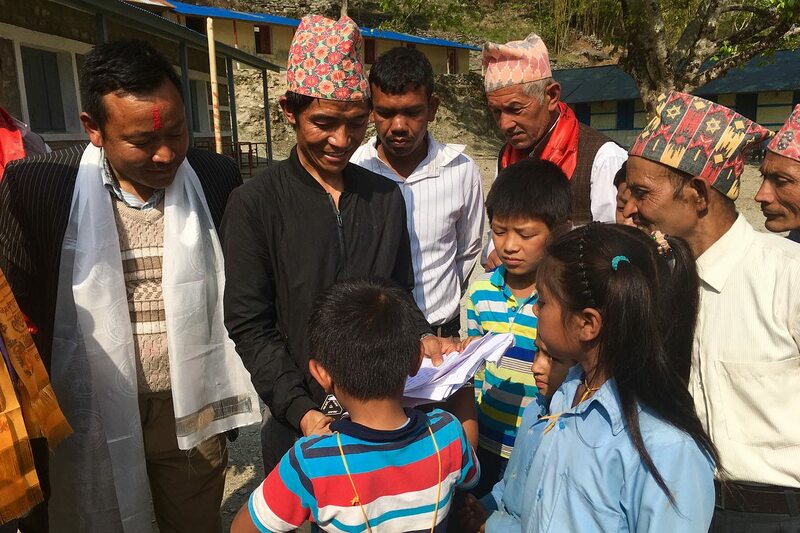 When I started The Country That Shook I naively thought that this task would be incredibly straightforward because there are so many deserving and needy people in Nepal. 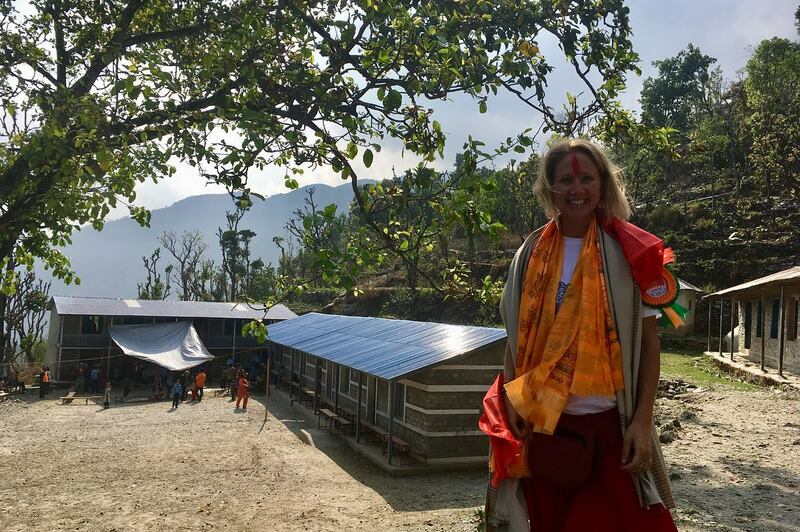 Following this intention, I have been in talks directly with a few people in Nepal, who organise community based support and rebuilding projects, for many months. Unfortunately I have continually come up against the problem that they are unable to offer me proof of where the money will be spent. This is not surprising as it is not their culture to have contracts and documentation for everything like we do in the West, plus of course a country recovering from an earthquake is not a normal situation. However, we have now raised over £7,000, and I have a responsibility to know where the money that so many people have kindly spent to support The Country That Shook is going. I don’t feel like I can hand money over without this knowledge or alternatively being in the country to oversee it, which is not a viable option for me. Unfortunately this has lead to a couple of difficult situations where opportunities to support communities have not developed as I had hoped, and a lack of information and trust has meant that I had to back away. This has been distressing at times because I do truly believe that their intentions were good, it just felt like too much of a risk. Therefore, I am going to go down a completely different route and donate the money through a charity. 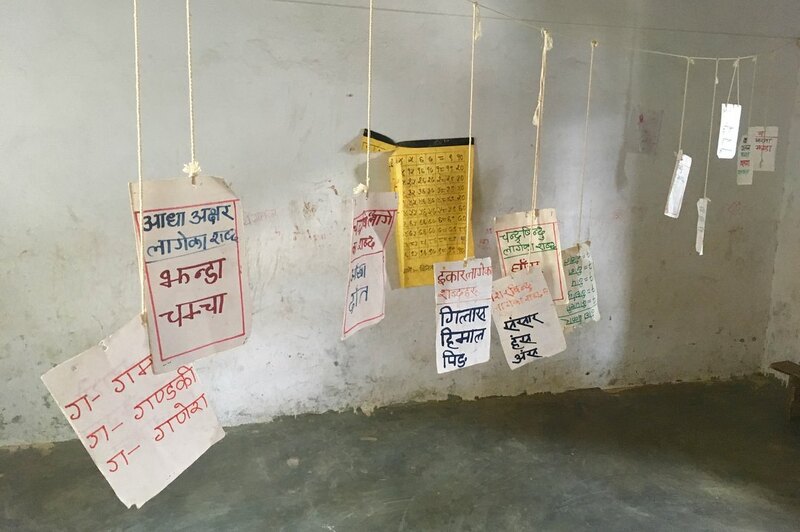 This is something that I was completely against when I started out as I thought that too much of the money donated would be lost in admin fees and then even more would be siphoned off by the Nepali government. 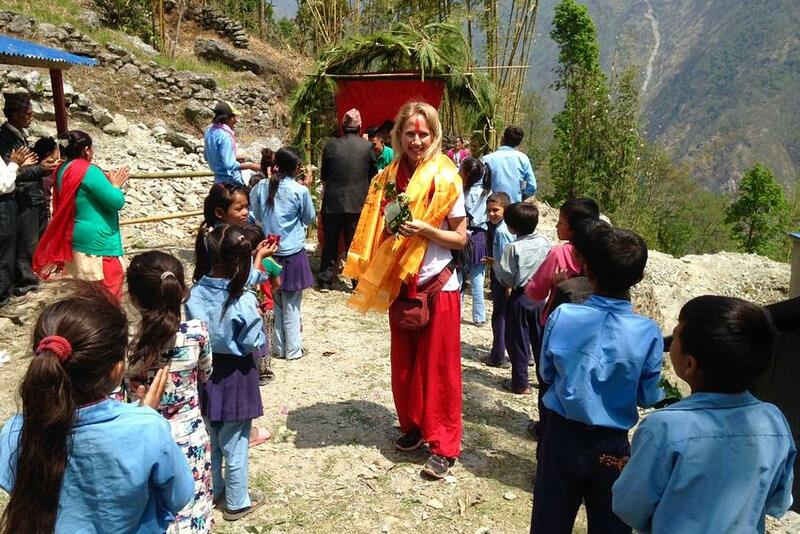 However, after contacting endless charities my opinion has been changed; it is true that only around 85% of the donation is spent on the school rebuild (or alternative project), but that other 15% is what provides all that is needed to coordinate something like this, the connection with the local people, the knowledge of where help is really needed and the ability to be in constant contact with the build as it progresses in a very remote area. These are all things that I don’t have and would be unable to do from the UK with a full time job. All of the charities I’ve been talking to have been recommended to me by various reputable people in Nepal and the UK. The conversations have been invaluable in my steep learning curve about how charities function and what the best fit for us will be. So close to the big £7000! 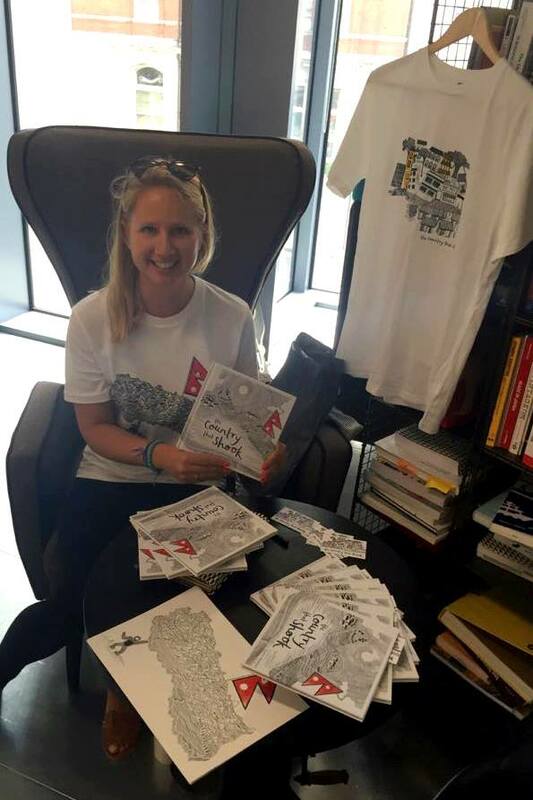 Thank you so much to everyone who has bought a book or supported us in another way. Every single penny helps!